Photo from scene taken yesterday afternoon. 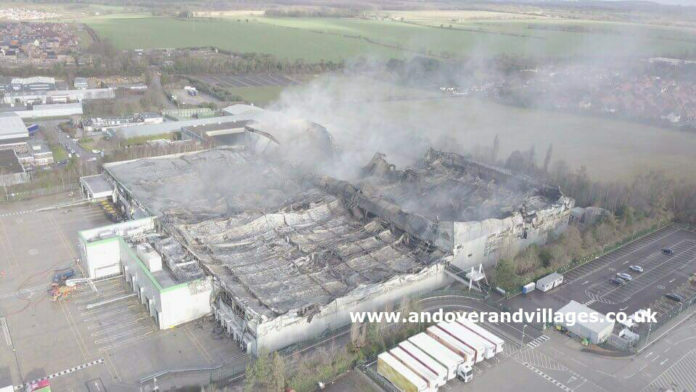 Local residents of Andover have spotted multiple fire engines rushing to the scene of this week’s horrific fire. It’s believed that this is only hot spots in the warehouse and is now under control by HFAR.